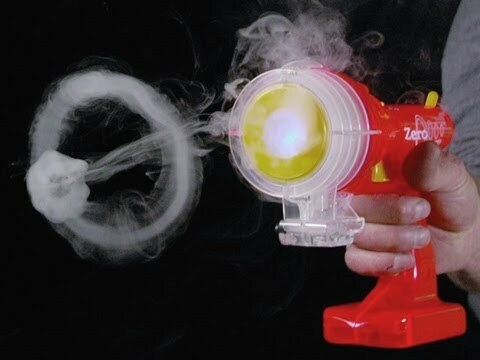 Blast vapor rings from up to 12 feet away using this scientific toy designed for ages 8 and up. 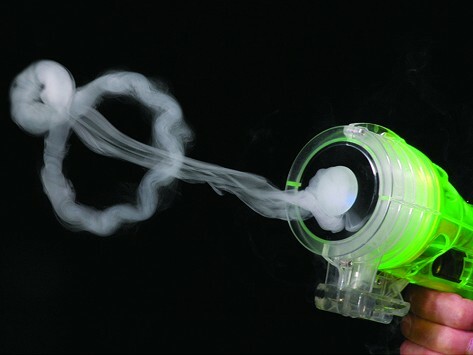 It features an explanation of the science behind toroidal vortexes, an LED light for playing in the dark, and seven optional laser-blasting sound effects. Dimensions: 9.5" x 8" x 2.5"